Many years ago, I believed I was never going to be OK. I was convinced I just wasn’t meant to be happy and that I could never ever heal all of the things that went wrong in the past. Pretty early on, I gave up on life. I didn’t have any more to give. Funnily enough, even though I stopped trying and caring, I was still guided towards meaningful work. No matter what I did or where I went, opportunities to help and heal people popped up. I was always the one who stood silently in the corner at a party and who ended up being surrounded by a crowd of people asking her questions about life. I thought I sucked at life, but the people around me found healing in my mess. Fast-forward to today, I am still as messy as ever and have surrendered to my calling to help heal people. I have a successful life coaching business and live a pretty fulfilled life (unless someone runs up the stairs and disturbs my yoga practice). What has changed for me is that I use my pain and suffering for the higher good of all. I gave up and stopped wanting to live, and yet, here I am. If there is one thing I can do, it’s dedicate this life to uplifting those who can’t do it themselves at this time. The thing I learned about suffering and moving out of pain is that we each have an individual way that works best for us. Life moves in cycles and before every expansion there will always be a contraction. This means that we will feel lost, sad and uninspired many more times in our lives. I believe that every person recovers from periods of sadness and gloom easiest if they have a recipe with the most potent and proven healing aids. Oftentimes when we are in a breakdown, we look everywhere but inside ourselves for a remedy. We go looking for the thing that will save us anew every time we feel down. What if you remembered what helped you last time you felt this way? What if you had everything you need, already inside of you? What if there was no need to run around like a headless chicken trying to be cured by outside forces? I remember that after a period of intense suffering, I would be so happy I was feeling better that I’d just brush myself off and completely forget what it was that helped me get better. There’s a healing recipe that is better than anything you can find out there. It is your medicine. It is what will help you get well quickly and sustainably. The last time you experienced a contraction in your life, what helped you move out of it? What are things that mend your broken heart? 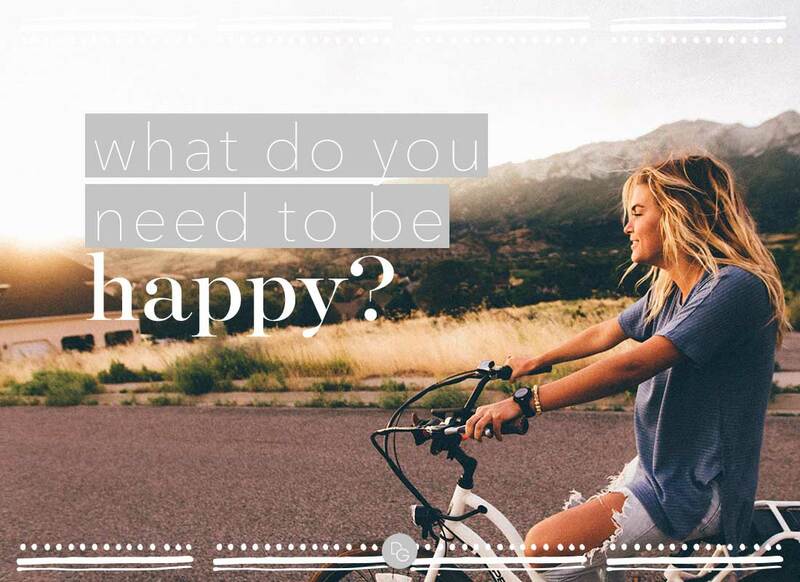 What do you need to feel happy? Even if you can’t figure it out now, I encourage you to keep these questions in your heart and when the next slump comes along, notice what helps the most. I drink plenty of water and stay fully hydrated. I eat fresh and healthy food, most of the time. I get the right amount of sleep. I practice Yoga and I meditate. I don’t do any of these things if I have to force myself to do them. I pray to surrender my mess and sadness so that it can be uplifted and transformed. I spend plenty of quality time with my friends. I get the right amount of adventure. I allow myself to think less and dance more. No internet and phone for as long as I am in a funk. Less self-pressure and judgement and more surrender. I release the darkness by talking to someone about what’s going on —someone who will only listen and not respond. I remember that where I am is just perfect. My pace and rhythm are just perfect. The contraction I am in will guide me home and all I have to do is open to the guidance and wisdom inherent in this phase of darkness. May your healing recipe reawaken the light in you. May it be a source of truth and home. May you be uplifted and be deeply loved by yourself, in every circumstance. Hi, I am Hanna, a Life Coach and Free Spirit, helping creatives and trailblazers fall in love with their unique gifts to bring their full potential out into the world. Free Spirits from all over the world have experienced the liberating power of true healing and I believe that everyone deserves a life that deeply nourishes them every step of the way. Whenever I’m not coaching, you’ll find me riding roller coasters, practicing Ashtanga yoga and climbing trees all over the globe.